The new men's care set from wax experts HIVE of Beauty includes everything barbers and men's salons need to make the modern man look elegant and perfectly groomed! Soften unruly beard hair and reveal the ultimate groomed gentleman by waxing and shaping eyebrows and beard. Make sure your barber chair is your customers' only port of call! 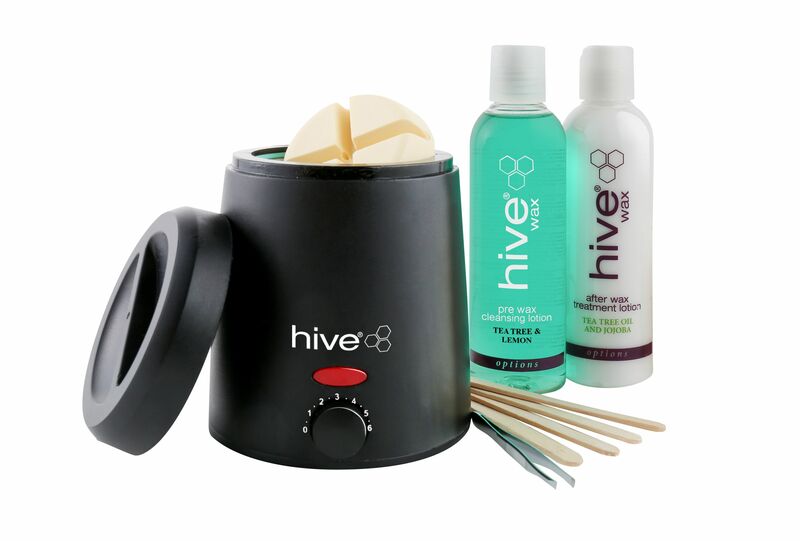 The package includes The compact and easy to store HIVE Neos heater with a capacity of 200ml and Sensitive Warm Film Wax Discs to heat the wax to the desired temperature, pre- and post-treatment waxing cotions, spatula and angled tweezers to perfectly shape your customers' eyebrows: The men's care set offers you everything you need to start waxing immediately.